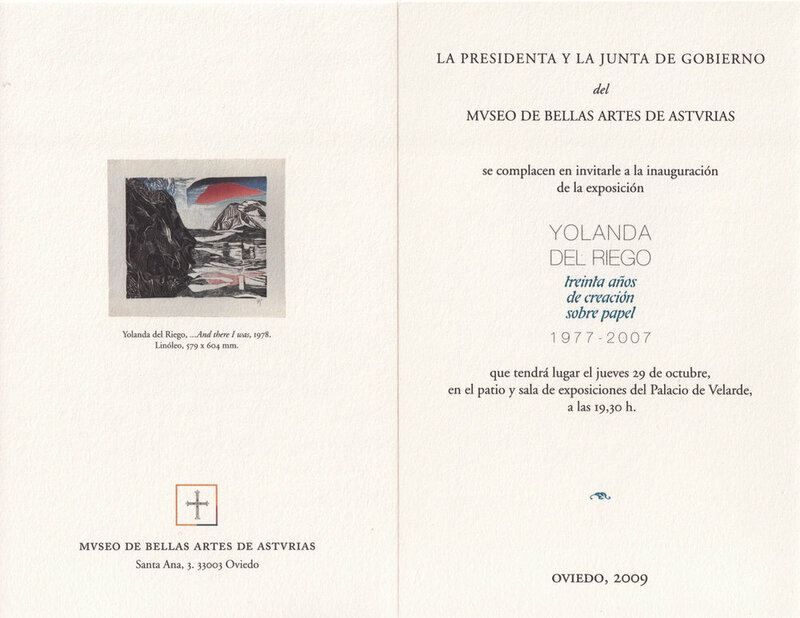 A selection of 47 works on paper by Yolanda del Riego from the 30-year period between 1977 and 2007. The exhibition included drawings, watercolors, prints made using a variety of printmaking techniques, collages of torn-up prints and digital images. ...an astonishing mastery of color, a profound and sincere love for Nature and deep sensitivity, along with the explosive force of the shapes and colors in her work -these are all qualities that characterize the work of this artist. And they are all the result of a vital and lifelong career dedicated to art, driven by a passion for experimentation and continuous learning.